Next year will serve up two big-screen interpretations of Hercules, with Renny Harlin’s Hercules 3D going toe-to-toe with Brett Ratner’s Hercules, which will star Dwayne Johnson. 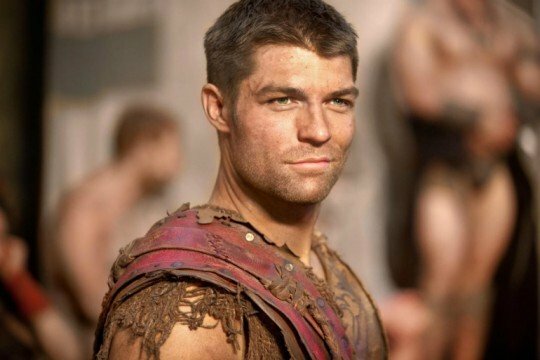 The former, however, is a Nu Image/Millennium production, which recently enlisted Spartacus: War of the Damned’s Liam McIntyre to play a trusted companion to the titular demi-god. The Australian actor will join Kellan Lutz – best known for his role in the Twilight series – in the sword and sandals epic, who signed onto to play the Greek warrior earlier this month. While plot details remain under wraps at this point in time, the overarching story will see Lutz and McIntyre’s characters being deceived by a malicious king and sold into slavery. Thereafter, the two must battle together to salvage their freedom and seek revenge. With production set to begin on Hercules 3D in Bulgaria next month and considering that Harlin has helmed Cliffhanger and Die Hard 2 in the past, this is a project that is beginning to weave together quite well. Additionally, the filmmaker has claimed that his own visualisation will be more serious in tone than Brett Ratner’s move. With the two films set to open within the space of four months of one another – Ratner’s film is slated for July 25th, 2014 and Harlin’s film is aiming for a March 2014 release window – this appears to another peculiar double bill from the studios in Hollywood. Next year’s dual re-imagining of Greek mythology mirrors previous cinematic pairings such as Olympus Has Fallen/White House Down and Armageddon/Deep Impact, which were oddly released in the same year, too. Nevertheless, in getting the jump on the other Hercules film, Harlin’s Hercules 3D will hope to capture the audiences’ imagination with a revisionist take on the well-known Greek demi-god. What do you make of the casting? And, more importantly, which Hercules film will you be seeing in 2014? Sound off below!